Doctor Recommended! 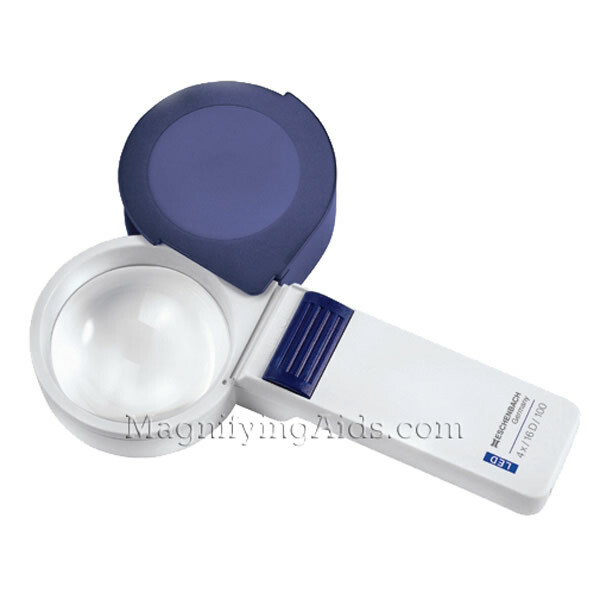 4X/16D Eschenbach LED Hand held illuminated magnifier. Eschenbach's LED (light emitting diode) illumination provides an alternative light source preferred by many people due to its distinctly whiter spectrum and longer useful life. In addition to the bulbs offering nearly unlimited life, the batteries last 5 times as long as when used with incandescent bulbs! These features provide lower usage costs and make the magnifiers even easier to use! To soften the color of the light a small yellow filter is included which can be snapped on over the LED bulb. A blue protective lens case included.